On busy mornings, it’s not always possible to complete every single step of a lengthy beauty routine. That’s where multitasking products come in. Since you should be using a moisturizer and a sunscreen every day, why not combine the two? What if you took it a step further and added a hint of color for a fresh-faced look? If it sounds like we just described the perfect product to simplify your morning beauty routine, then let us introduce you these tinted moisturizers with SPF. Tinted moisturizers are great for getting a glowy complexion that looks like your skin but brighter and more even. Whether you go for a laidback and natural beauty look or you’d rather use tinted moisturizer as a base for heavier makeup, these tinted moisturizers with SPF are the way to go. These are the best moisturizers with SPF that combine sun protection, subtle tint and coverage, and even anti-aging and protective benefits. Tinted moisturizers with SPF are the ultimate multitaskers that will streamline your summer beauty routine. If you’re shopping for tinted moisturizer, Laura Mercier’s are the original and the best. The award winning formula is full of protective skincare favorites like antioxidant vitamins C and E and of course, SPF 20. You’ll be obsessed with this lightweight moisturizer that also has an oil-free version. Soothing chamomile, antioxidants, and vitamins A, C, and E make this oil-free, vegan formula incredible for your skin. Including sunscreen in the mix further seals this creamy moisturizer’s status as a keeper. If you’re looking for light coverage, we found your bargain buy. This formula has soothing aloe and cucumber, which are great for summer days. Be sure to apply over a primer for the best results. Our beauty editor confirmed it—this balm is the ultimate moisturizing multitasker. 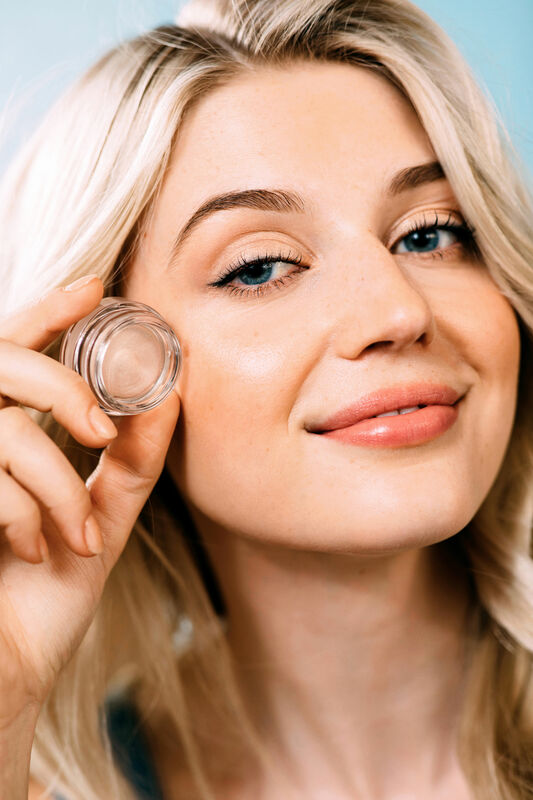 Thicker and more hydrating than some more sheer formulas, this miracle in a jar can stand in as a primer, moisturizer, foundation, and concealer. Although it’s great for hot summer days when you want to go light on makeup, it will keep you moisturized during the dry winter months, too. This oil-free moisturizer leaves you with a translucent glow that’s perfect for a no-makeup makeup look. It’s sheer but buildable if you want more coverage, and it won’t leave you feeling greasy. This sheer, oil-free formula won’t leave your skin feeling greasy, and the SPF 30 offers adequate sun protection. The one drawback is that it’s not offered in a wide range of shades, but if one of the shades does work for you, it’s a drugstore staple. This one-color-fits-all tinted moisturizer adds a glowy veil to any skin tone. The antioxidant-rich formula goes on sheer and the ideal tint appears as you blend. This sheer formula will make your skin look like you have a smoothing Instagram filter on it all the time. Use it as a primer to set the rest of your makeup or wear it alone for a poreless finish. If you’re into accolades, this award winning tinted moisturizer belongs on your vanity. This gel-cream formula is all about hydration, so it’s great for dry skin. Plus, it has mineral-based, non-chemical SPF 30 for sun protection. Argan oil-infused and chemical-free, this moisturizer will work on even the most sensitive skin. It’s extremely lightweight, which makes it ideal to wear alone on laidback days or under other makeup without feeling thick. The universal shade gives that natural summer glow we all want, and the SPF 47 will keep you protected. This gentle skincare favorite brand recently blessed us with this tinted moisturizer, which combines nourishing vitamin E, hydrating hyaluronic acid, and soothing oatmeal. It offers buildable coverage depending on your preference, but you’ll be glowing with even a hint of it. First of all, this tinted moisturizer is almost half off on Philosophy’s website right now, so it’s the best time to give it a try. Second, this formula provides sheer coverage that evens out skin tone, and it gives a dose of anti-aging ingredients. We expect excellence from Chanel when it comes to style and beauty, and this tinted moisturizer lives up to our expectations. This sheer, super lightweight formula will give you a summery glow while still protecting with SPF 30. This oil-free moisturizer is extremely lightweight for a natural no makeup-makeup look. Although this formula is wonderful, remember that SPF 30 is recommended for adequate protection, so include a lightweight sunscreen in your routine, too. This tinted moisturizer offers a bit more coverage than some of the more translucent formulas. Not only is the SPF 30 reliable for protection with in-part titanium dioxide sunscreen, but antioxidants like vitamin E and hydrating microalgae oil help protect the skin and provide anti-aging benefits.